The R-hub builder is a project of the R Consortium. It is an R package build and continuous integration service, open to all members of the R community. It aims to simplify the R package development process: creating a package, building binaries and continuous integration, publishing, distributing and maintaining it. It automatically detects and installs system requirements, supports a flexible system of package dependencies, and at this time 18 flavours of 4 platforms: Linux, Windows, macOS and Solaris. The webinar will show the main features, mainly through the rhub R package. 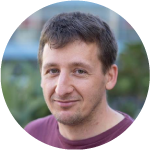 Gábor is a software engineer at RStudio, working in Hadley’s team on R infrastructure packages.